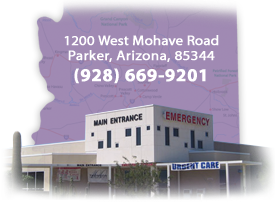 If you are scheduled for an Inpatient Admission, your physician will make the necessary arrangements for your admission to LPRH and will notify you of the time you are to check in at the designated check-in area. 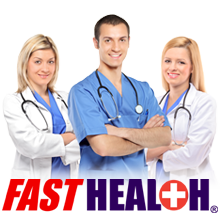 A representative of the hospital will call you to make arrangement for the day of your admission and take information. A nurse may call you with special instructions. At the designated time, you should report to Registration in the main lobby and a Customer Service Representative will be waiting for you and will carefully guide you through the check-in process. We will confirm your address, telephone number, place of employment and insurance information. Please have your insurance card(s) and proof of identification readily available. Financial arrangements for your care will be handled at this time if not previously done so. If your insurance does not cover the entire cost of your care, you will be asked to pay the remainder at the time services are rendered, or to work out special payment arrangements. You will be asked to review and sign forms required by State and Federal Regulations. If you have a physician's order for an outpatient test or procedure, call the department to receive instructions and appointment time, if your physician office has not already made the specific appointment. You must bring the written physician order with you the day of your test. If you are scheduled for Outpatient Surgery, a CAT Scan or MRI, you should report to the Registration window in the Surgery annex, open Monday through Friday 7:00 a.m. to 3:30 p.m.
For all other services, including general laboratory, radiology/imaging (not CT or MRI), respiratory/cardiopulmonary or other treatments, you should report to Registration in the main lobby (Open Monday through Friday 7:00 a.m. to 5:00 p.m.). At both locations, a Customer Service Representative will be waiting for you and will carefully guide you through the check in process. We will confirm your address, telephone number, place of employment and insurance information. Please have your insurance card(s) and proof of identification readily available. Financial arrangements for your care will be handled at this time if not previously done so. If your insurance does not cover the entire cost of your care, you will be asked to pay the remainder at the time services are rendered, or to work out special payment arrangements. You will be asked to review and sign forms required by State and Federal Regulations.